In today's digital world, it is getting more and more challenging to get your restaurant in front of your potential customers. With so much digital content, users are not interested in looking for stuff. They want it brought to them on a silver platter. To do this, you need to be on Google's good side! And to be on Google's good side, it is essential that you are pushing out content on a very regular basis. One of the most effective ways to push out regular content is through a blog. 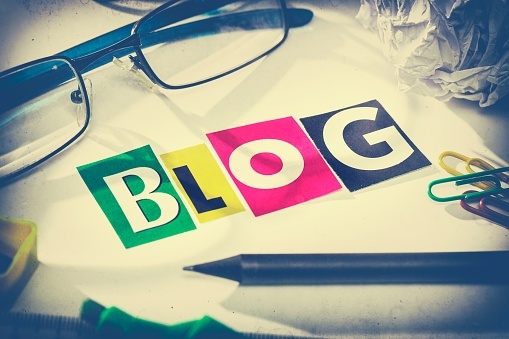 Did you know that 46% of people read blogs more than once a day? (source) That is 46% of people that could be walking through your doors, ordering your daily specials! Why is a blog so effective? 5 reasons to start your restaurant blog! Once you gain a following, people will become your fans and want to read what you have to say on a regular basis. Writing blog posts help give your restaurant a personality that people can relate to. >>Redesigning Your Website Soon? Download this 11-Step Checklist Today! When you share recipes with photos and clear instructions people will be so excited to share with their friends and this creates very strong word-of-mouth branding and helps to gain more prospective clients. If there is new content on a daily or weekly basis, then Google will start to recognize you and your brand will start climbing up the ladder of the ranking train. These days, people want to feel that they are part of the bigger picture and that they are contributing to the greater good. A blog is the perfect place to share your community involvement so your customers can feel a part of it. When customers engage with your blog content, you have a golden opportunity to interact with them and show the best side of your restaurant marketing in a personal way. In conclusion, a blog is a great opportunity to get your website moving up the google ranking ladder. There are plenty of benefits and if you make it your own, it will keep your company in front of potential customers year round.